Fillers are the solution to many of our beauty or self-image concerns: they eliminate wrinkles, improve the oval of the face, add volume to the lips and cheeks, and expressively remove years off our tired face. The skin regenerates quickly and the effects look very natural. All thanks to the injectable, non-surgical methods that imitate nature by applying ingredients to our body, which normally diminish as we age. What types of filers are available? Traditionally, there are three types of preparations – based on hyaluronic acid, calcium hydroxyapatite, and L-polylactic acid. Hyaluronic Acid (i.e. Juvederm) – its main task is to fill the tissue and maintain the level of hydration. Because HA is widely used in aesthetic medicine, we explain it thoroughly below. Calcium Hydroxyapatite (i.e. Radiesse) – It is a substance naturally found in the body. Calcium hydroxyapatite molecules stimulate fibroblasts to produce collagen. L-Polylactic Acid (i.e. Sculptra) – naturally occurs in our body. It reproduces and compensates for body fat loss very well and improves the skin’s condition by firming and thickening it. Hyaluronic acid is a substance naturally occurring in the human body, mostly found in the skin – as much as 50% of the entire content. The remaining part is present primarily in the eyeballs, tear fluid, joints, and extracellular matrix. 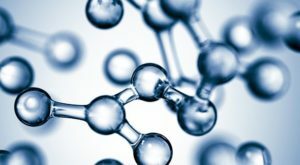 Until we reach 25, we produce abundant amounts of hyaluronic acid, which is why our skin at this age is smooth, resilient and deprived of wrinkles. When hyaluronic acid decreases, the skin becomes dry, the first wrinkles begin to appear, the cheeks and mouth lose their volume. By the time we turn 40, half of the hyaluronic acid inventory is lost. Preparations based on hyaluronic acid are used for face modeling. They build a kind of scaffolding, thanks to which the effect of a soft lifting lasts longer. Other uses of the injectable include correcting the shape of the lips or cheeks, treatment of moderate to severe facial lines or wrinkles, smoothing vertical lip lines – all adding up to a comprehensive rejuvenation. Generally, the effects of HA dermal fillers are visible for 6-12 months, depending on the density of the preparation. However, the innovative technology employed by the Juvederm collection of fillers provides more promising results, some even up to 18-24 months of lasting effects. How to avoid unnatural, unaesthetic, and exaggerated effects of fillers? The best method to avoid such effects is to choose a reputable office where treatments in the field of aesthetic medicine are performed by experienced as well as skilled physicians, and physicians only. Our clinic is usually approached by clientele recommended by others, who have already tried our wide range of procedures with satisfactory results. Each procedure is preceded by a consultation on the basis of which the doctor offers treatments adequate to the expectations of customers and at the same time adapted to one’s unique appearance and characteristics. The aim of all treatments performed at New You is to achieve the most natural look, because a well-performed treatment can not change individual facial features, but only eliminate imperfections and improve overall satisfaction with oneself. An individual who has undergone treatments in the field of aesthetic medicine should look a few years younger, rejuvenated, and fully refreshed. Botox is the preparation used in aesthetic medicine, which contains a powerful neurotoxin – botulinum toxin. It works by weakening or completely disrupting muscle nerve transmission. Botulinum toxin is most commonly used to smooth wrinkles, reduce excessive facial expressions and excessive sweating, or as a treatment to dull or prevent migraines. It is also worth noting that intramuscular injections of Botox are an effective prevention of wrinkle formation. Therefore, the treatment is performed even in people over 25 years of age. Botox is most often used in the upper parts of the face. As a rule, it finds application in wrinkles arising as a result of dynamic muscle work, so-called mimic wrinkles, which include horizontal and vertical lines of the forehead and crow’s feet. In turn, hyaluronic acid is most commonly applied to reduce deep nasolabial folds, lip modeling, nose curvature correction, facial contour modeling, and scar reduction. If there are such indications, the physician may decide to combine the above-mentioned methods. It is possible to smooth out facial features with both treatments. However, keep in mind that the indications for their administration differ slightly, and it is the physician’s job to decide which of these methods will be the best option for the patient. Why is it important to seek treatment by a train medical professional? 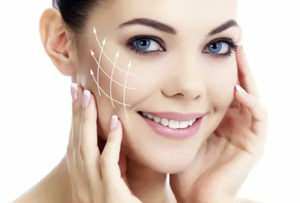 Because of the composition of dermal fillers, their unique “biochemical” makeup, the application of local anesthetic, and the “playground” of facial anatomy, these substances are in fact considered medicine and shall be applied only by a clinically trained medical professional. Faulty injection of the dermal filler may result in a serious damage to the nerves as well as cause poor aesthetic effect after the procedure. If the application of the filler is too shallow, it causes it to show through the skin (Tyndall effect, i.e. permanent bruising). Other complications include shifting the filler to an undesirable site, hematomas, providing too much filler volume, or even as serious conditions as skin necrosis. A relatively frequent complication is the uneven distribution of the preparation and the unsatisfactory end result. Most often, these types of complications are a consequence of inadequate or insufficient massaging of the injection site, which is one of the most important post-treatment recommendations.